The best whipped cream I have ever made! It’s fresh, healthy, raw and tastes like a bit of heaven. 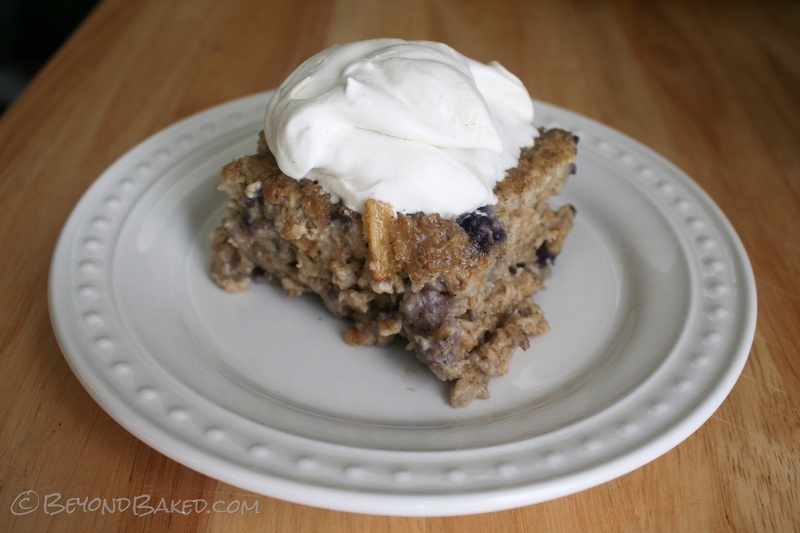 It is pictured here melting on top of blueberry soaked baked oatmeal. The key to a great whipped cream is using good quality cream and getting a metal bowl and wire whip attachment really cold in the freezer first. Give it about 20 minutes in there before you make the whipped cream. Using a pre-chilled (see above) metal bowl add the cream and the vanilla and whip ountil it starts to get a bit thicker. Add the honey and whip on high speed until it forms soft peaks. DO NOT over whip or it will become clumpy. I find this will keep in the fridge for a couple of days, it just needs a few rounds with a hand whisk to perk it back up. Using a pre-chilled (see above) metal bowl add the cream and the vanilla and whip until it starts to get a bit thicker. Add the honey and whip on high speed until it forms soft peaks. DO NOT over whip or it will become clumpy.